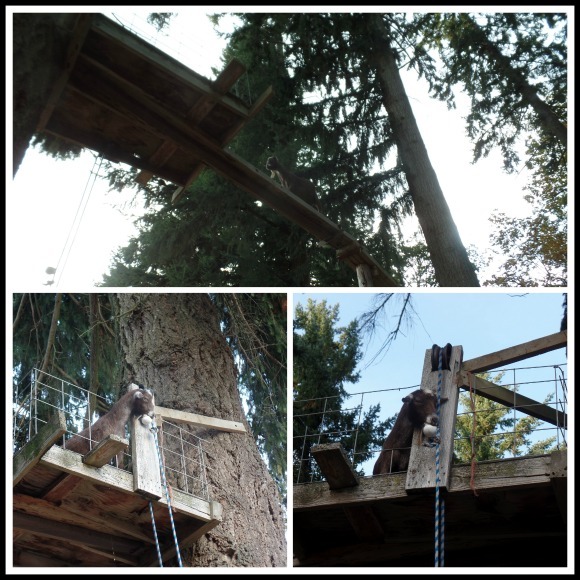 October is such a fun time for family outings, we have had a fun past couple of weekends doing different seasonal activities, I thought I would share what we've been up to. Last month I read an article about the Disney movie Halloweentown. Halloweentown is a movie that my kids grew up watching and has always been a favorite of ours. Well, it turns out, that it was filmed in St. Helens, Oregon, and St. Helens decorates the town square just like Halloweentown for October every year. 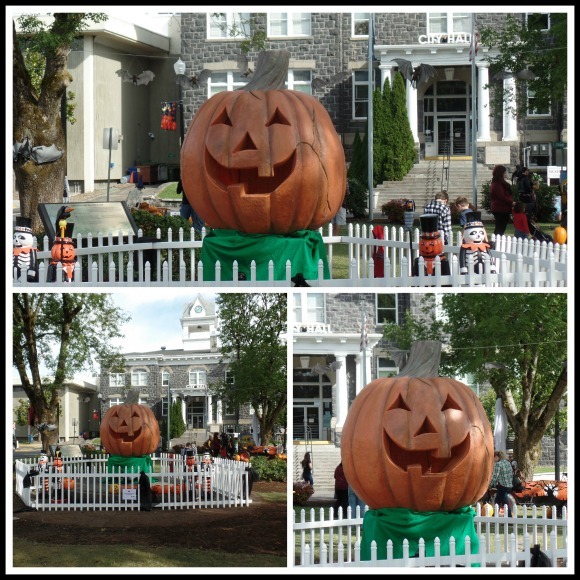 You can take pictures at the historic City Hall building as well as with a similar looking Halloweentown pumpkin. 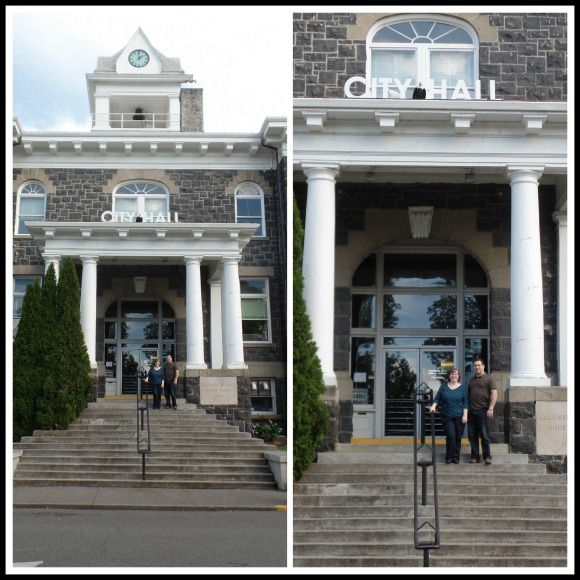 So we decided to take a little road trip to the town of St. Helens. 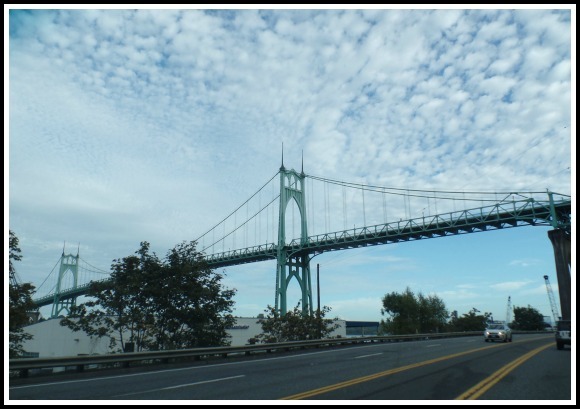 The drive is about an hour an a half from where we live, about half an hour north of Portland. 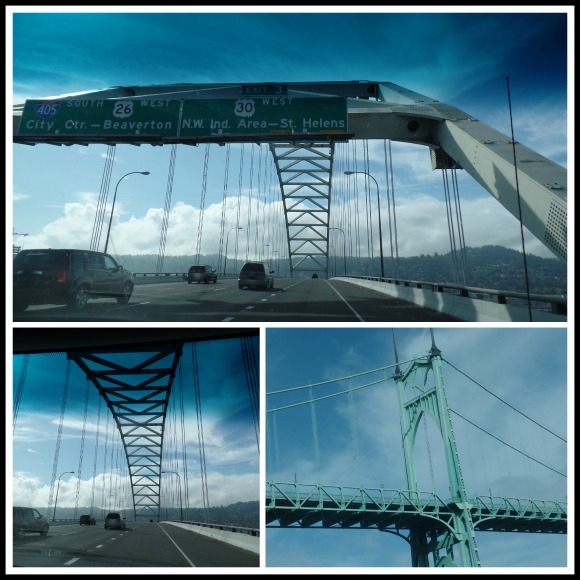 I love seeing some of Portland's bridges. The weather was perfect for a drive. 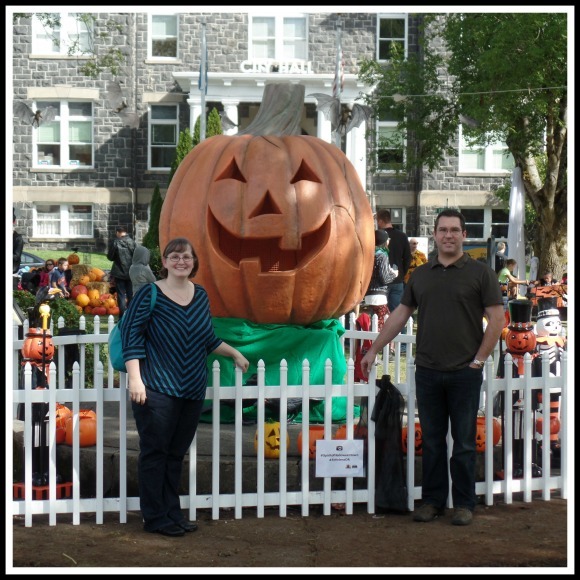 When we arrived we were all excited to see the Halloweentown pumpkin as well as the historic city hall building. Although the pumpkin in the movie was bigger, it really was very similar looking and was really cool to see. We had just watched the movie the night before so it would be fresh in our minds, and it was so cool to see the location. We all had fun taking pictures. 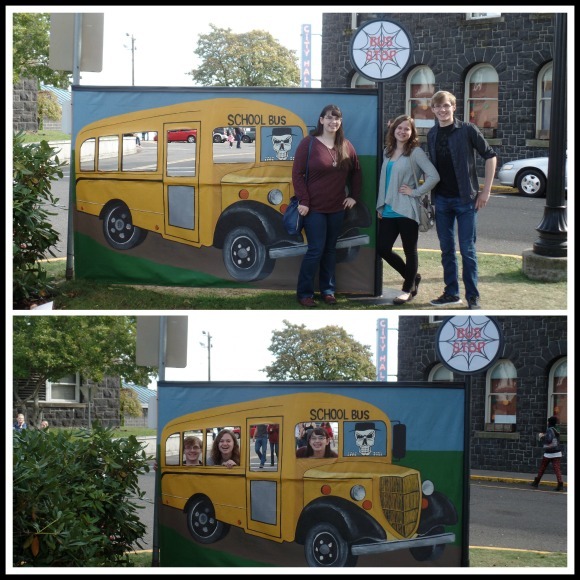 They had a cute picture station for the bus stop to Halloweentown as well. 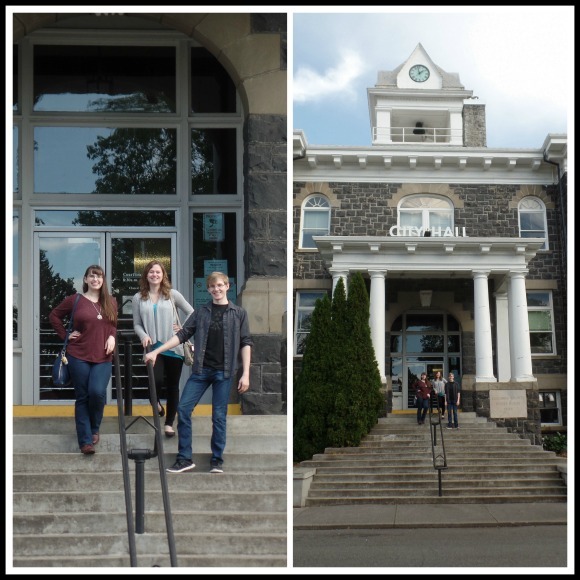 We all took turns taking pictures on the steps of the city hall building. 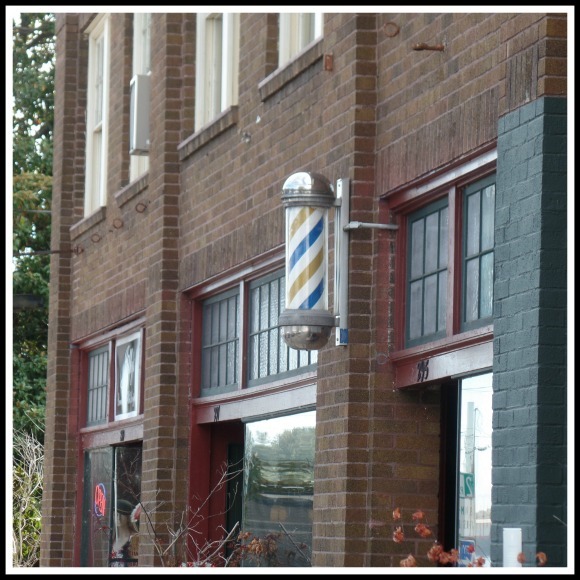 The town of St. Helens Oregon was a cool small town, we walked around a it and checked out some of the old historic buildings. I can see why the town was chosen for the filming location, the City Hall building was definitely a perfect looking iconic City Hall building, perfect for filming. 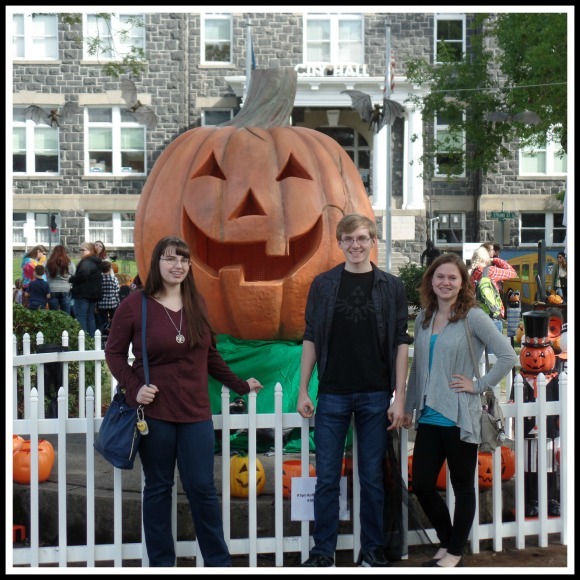 Our trip to St. Helens was very memorable, and it will be even more fun to watch Halloweentown every Halloween season! The drive home was nice, we stopped off at Dairy Queen on the way home, for lunch and some ice cream. All around it was a great day. If you live nearby, it is definitely a fun day trip for October. 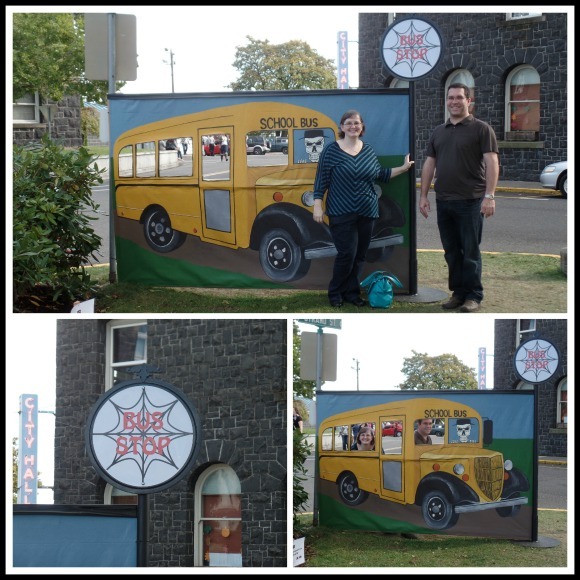 Here is a short little video I made of our outing to St. Helens, Oregon all decorated as Halloweentown. Last week we also had fun with an impromptu fire pit night. We love fire pit evenings, sitting around a little fire, making s'mores and chatting. Since the weather was so dry this past summer we were unable to light a backyard fire, so it was especially nice to finally be able to have a little cookout. I made a batch of grilled onions for our bratwurst. 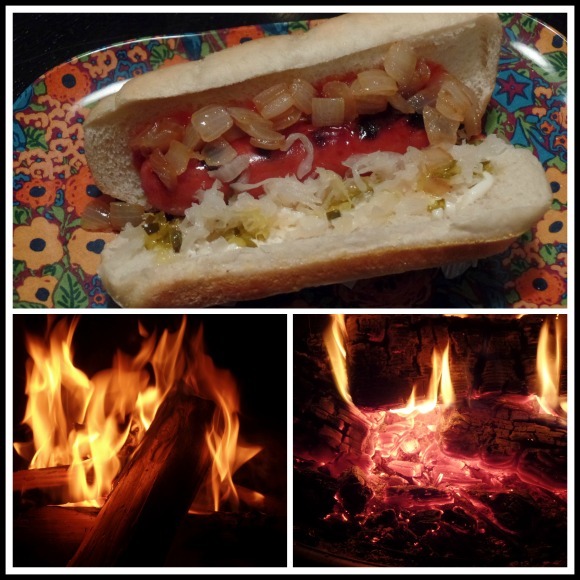 I love grilled onions, sauerkraut, mayo, grainy mustard, relish and Ketchup on my brats. The fire was so relaxing to sit around, the sky was clear and the stars were beautiful. 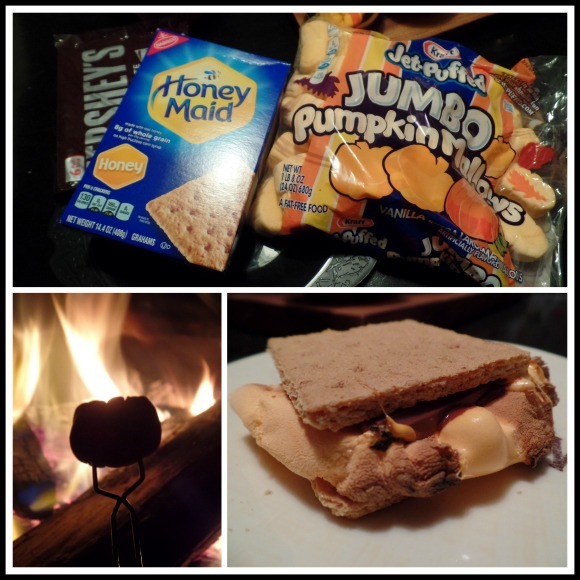 After dinner, I brought out fixin's for s'mores, but instead of regular marshmallows I found jumbo pumpkin shaped orange colored marshmallows, which was extra fun. 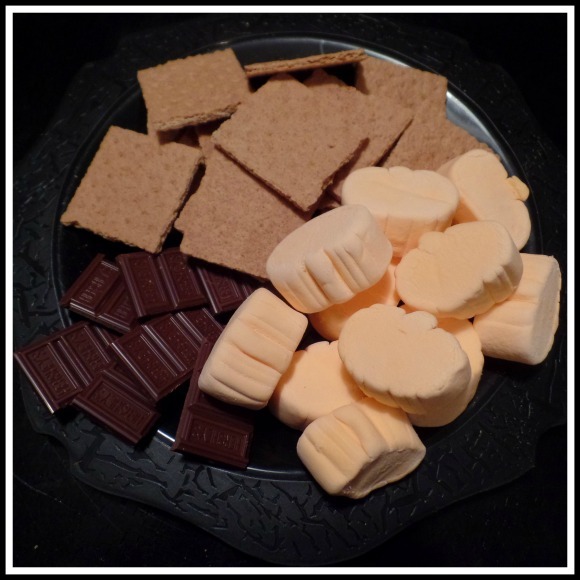 S'mores are always yummy, and I loved these pumpkin marshmallows. 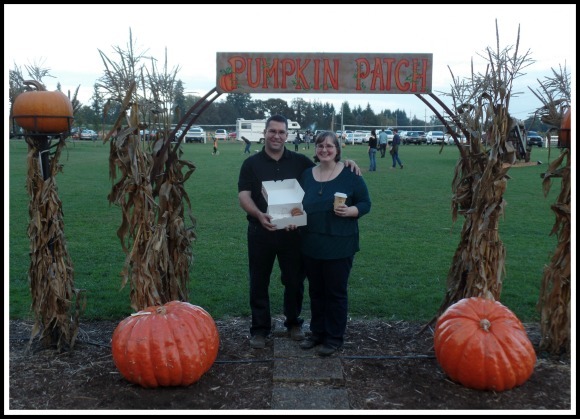 To keep going with all of the October fun, last weekend we made a trip to the pumpkin patch at Fir Point Farms. 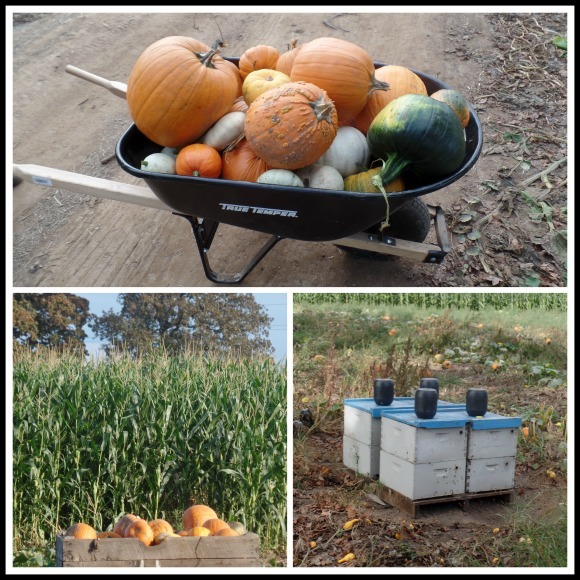 We had a fun time going on a hay ride around the farm, we got to see their bees hard at work. Then we picked out a bunch of different pumpkins for all of our different projects, with all of us hunting for different pumpkins for all of our various ideas, we ended up with quite a large collection! There were quite a few varieties to choose from which was really fun. 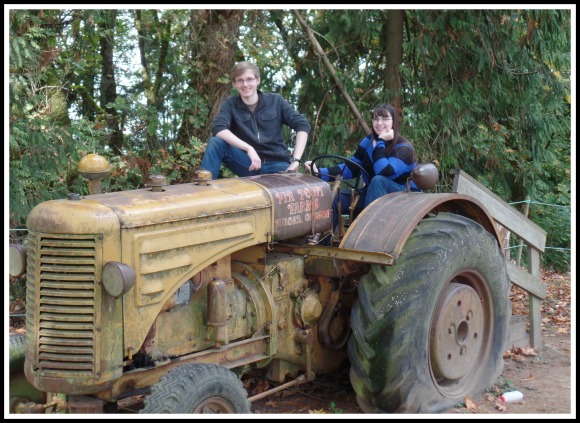 My son and his girlfriend Lorene also got a bunch of cute pictures together. 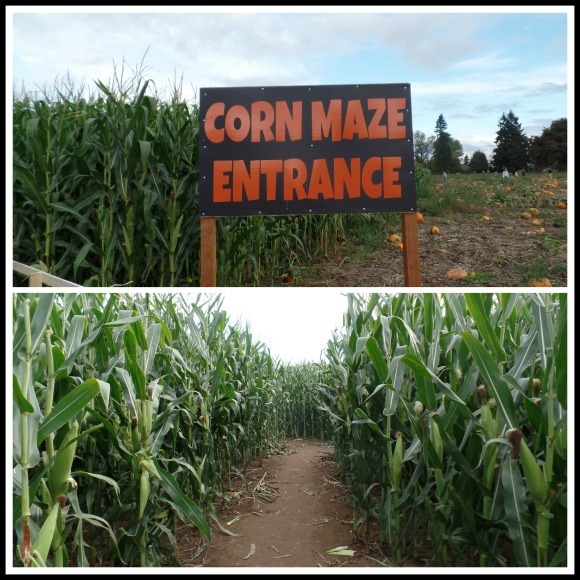 Just like last year we decided to go through the corn maze, it was a little more tricky this year, and definitely a fun challenge. 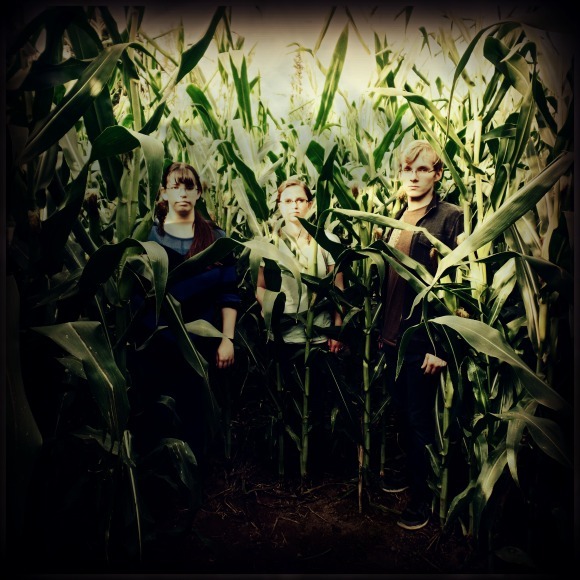 Also like last year I took fun, creepy "Children of the Corn" style pictures of the kids. Then I had a little fun with some spooky editing. 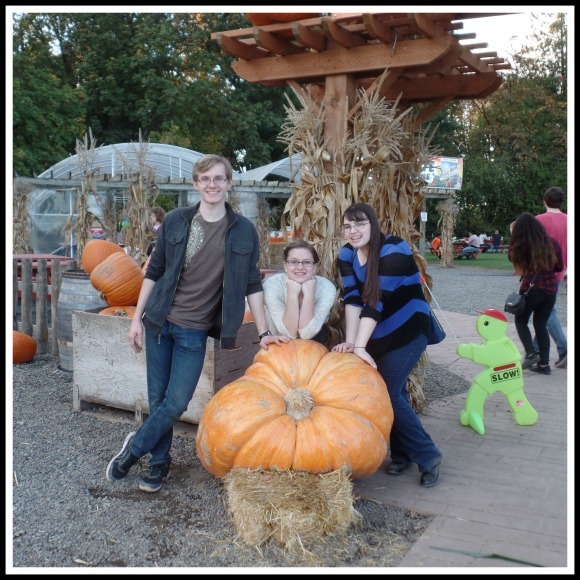 :) You can check out our 2014 Fir Point Farms trip here to see last year's pictures. 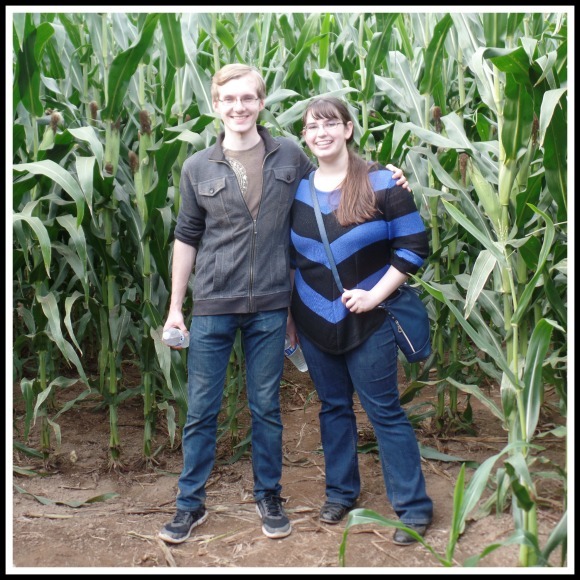 Here is another nice brother and sister photo I took in the corn maze. There are also a bunch of farm animals to pet and feed at the farm. This year I made sure to bring plenty of quarters to put in the animal food coin machines. 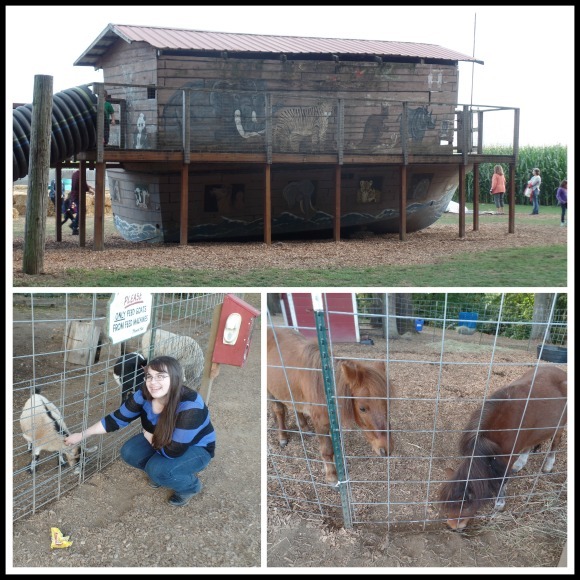 We fed goats and mini horses, you can feed some of the other animals as well. The mini horses were my favorite to feed, they were so sweet. Sarah really enjoyed the goats. There was a really fun feeding contraption set up for the goats, you could put the food in a little cup on a pulley and pull the food to the top of a tree house that the goats could access by climbing up ramps. 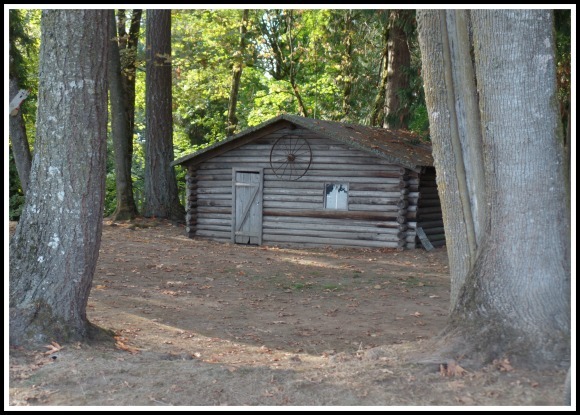 There are so many neat things to see, it has a nice country feel, I loved this log cabin building. 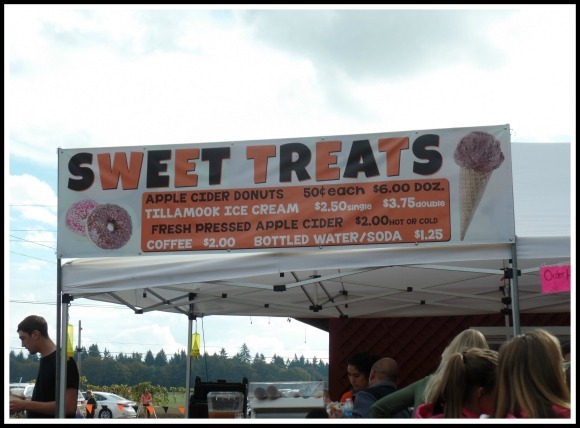 One of my favorite things about Fir Point Farm is their delicious apple cider donuts. We got some to eat fresh and hot, as well as some to bring home. The fresh pressed hot cider was also delicious. 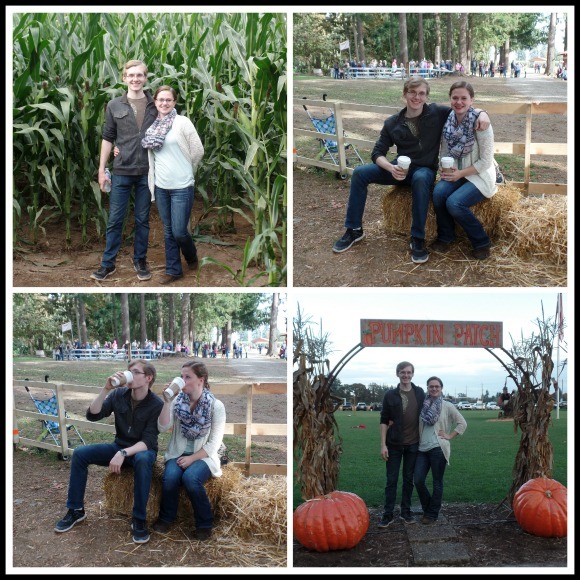 The day was very enjoyable, I would definitely recommend Fir Point Farms for any one who lives locally, it has a really a great family atmosphere and is perfect for an October outing. Fall is definitely my favorite time of year, the weather is so nice, not too cold or too hot, and I always love our fall family outings. I am looking forward to the rest of the season! That was a great video, April! Thanks for taking me along! You always seem to being having so much fun. Now I need to get myself some of those pumpkin marshmallows. 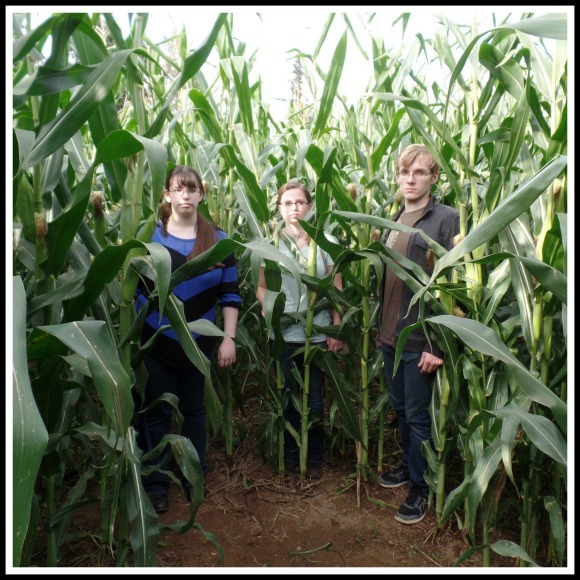 How long did it take you to get through the corn maze? Scores are always awesome. I've never seen pumpkin marshmallows before either. And the size of those pumpkins are huge!